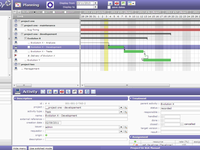 ProjeQtOr is an open source Project Management software grouping in a single tool all the necessary features to organize your projects. 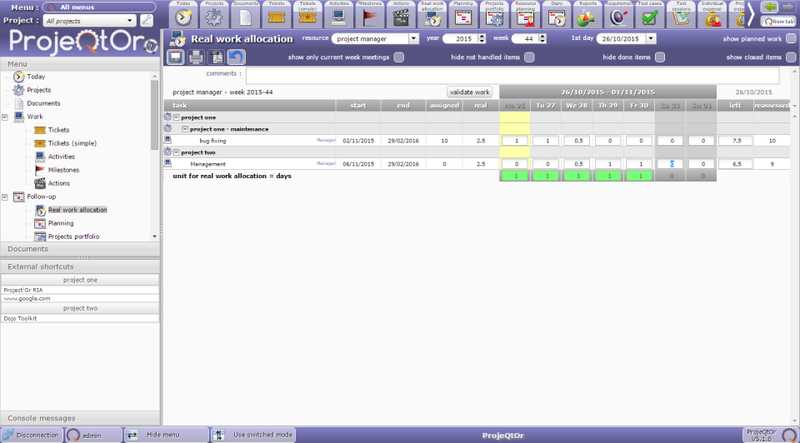 It is simple, easy to use daily while covering a maximum of functionalities for project management. Its particularity, in addition to its completeness, is to be quality oriented. 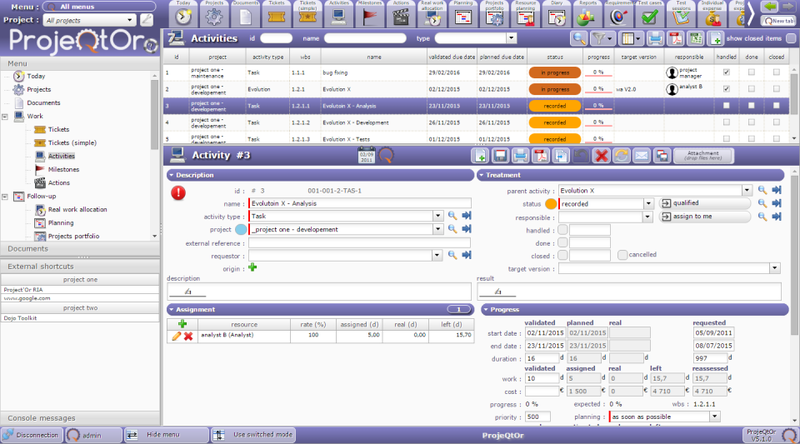 This means that you can record all the events of your projects, and thereby simplify compliance with leading standards of quality management, whether ISO, CMMI, ITIL or other. Pros: + Complete Value for Money with max ROI. 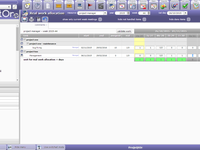 + Ease of use with superb custom menus and rights based. + LDAP/MS AD Integration was the coolest as one no need to remember many passwords. 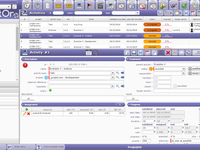 + PO and Invoice Capture with basic budgeting. 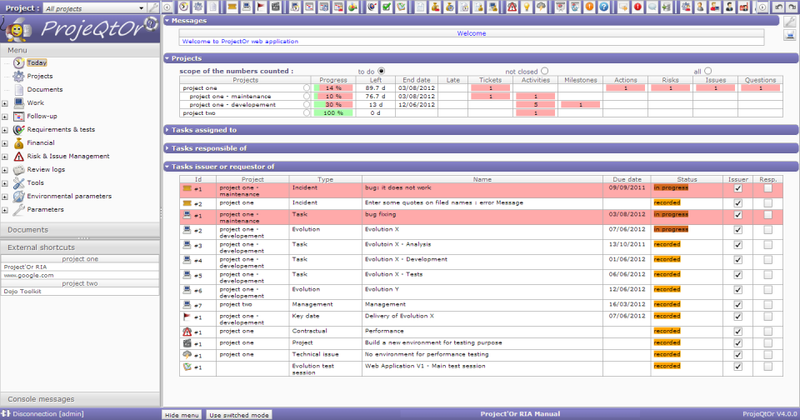 Cons: - Project performance report like BAC and Critical path finder is not there. - Support in India can be strengthened. - Not very Responsive Web Design. Can have a Mobile UI or preferably a mobile APP support. That's too much to ask for community product. One of the ISVs helped us in implementing this. Overall: Very Cool piece of Software. 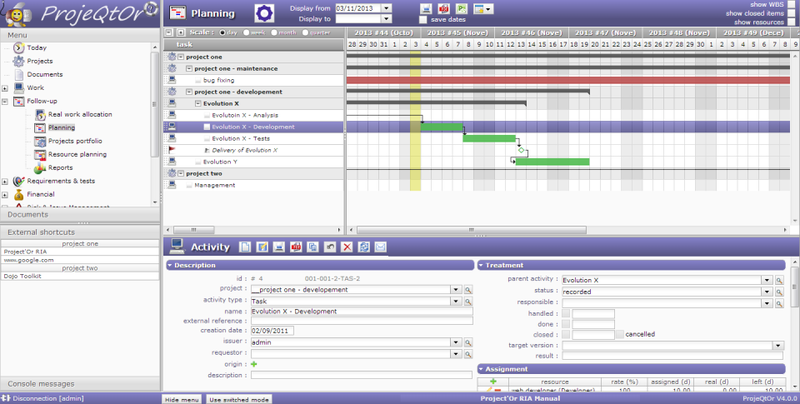 Every aspect of Project Management is captured. My IT Head was looking into Project Portfolio Management and this product had it out-of-the-box. That was the USP of this software winning the deal. 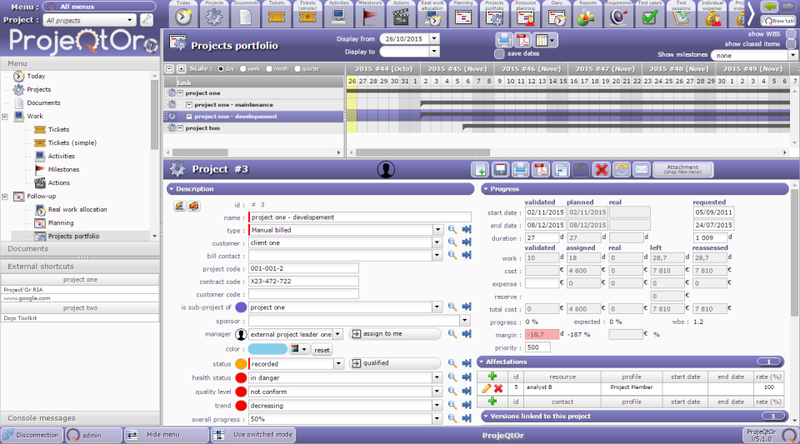 Even CR and defects can be tracked, also Sponsors / End Users can also track the progress of the project. We evaluated many other like MSP, Symphony, Redmine and ProjeQtor was in due to its openness and offering almost all the features. We would also love if Mobile App is available. + Complete Value for Money with max ROI. 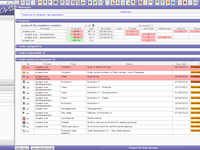 - Project performance report like BAC and Critical path finder is not there. I got a wow feeling at the first test run. 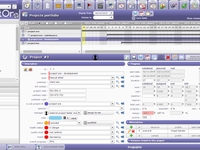 Pros: It has the all the features thats needed to manage projects. Regulary updates means that the software team also has a vision to get the program spread and live long. Cons: It is a litlle tricky to translate to local language. After updates it take a while before the excel language file is updated to correspond with the program version.